What’s it like playing a Dungeon Master for the first time ever? On this week’s episode of Kotaku Splitscreen, let’s discuss. Kirk’s back from vacation, so he and I spend some time catching up and talking about my adventures in the world of Dungeons & Dragons. Then we chat about some of the other recent goings-on in gaming, including Octopath Traveler, the ArenaNet debacle, and that typo that ruined the AI in Aliens: Colonial Marines. Jason: ...So I put this session together, and I started preparing this campaign. And on Saturday, I ran my campaign for the first time, and it was really interesting for many reasons. 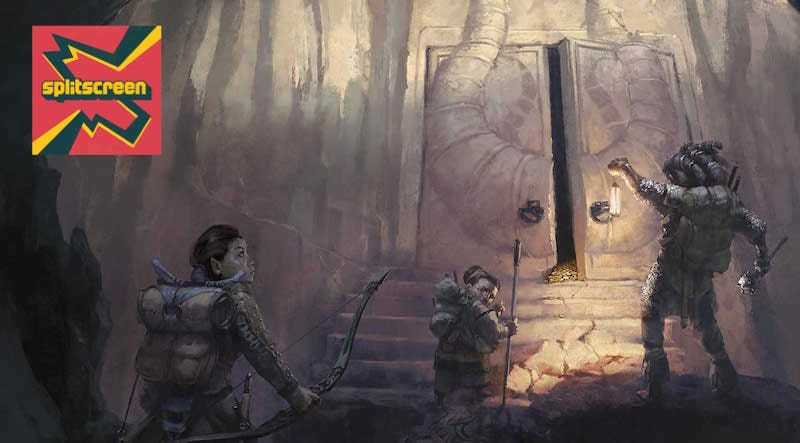 A lot of interesting lessons come out of DMing for the first time, and I suffered from some of the pitfalls that a lot of first-time DMs make, I imagine, like railroading your players because you have a full gameplan in mind and you want to make sure they follow your path. So I’m already taking lessons and trying to figure out how to do better for the next time. It was very entertaining, it was a lot of fun. Kirk: First I want to know, what was the story? SPOILER WARNING: If you are in my D&D campaign, don’t read this!!! So I’ve just been coming up with all these crazy puzzles and ideas. Basically when you become a DM, and I’ve heard people say this before but didn’t really know it firsthand until I did it, it just takes over your life. Every spare second of every day, or everything I see, I’m like, ‘Ooh, I should come up with a variation on that to put in my campaign.’ Every second I’m just randomly thinking of things. Kirk: It’s like a much healthy variation of, ‘Oh, I should tweet about that’ or ‘That would be a good Twitter joke.’ A better outlet for that same kind of background process in your mind. Jason: Yes, so true. Instead of trying to decide what to make an Instagram story about, you’re thinking of ways to entertain your D&D campaign. So yeah, it was really fun, it was a really good group.